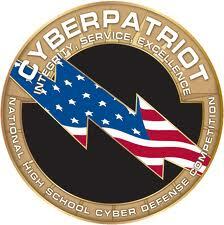 All rounds of competition in CyberPatriot, with the exception of the National Finals Competition, take place online. Teams may compete from any location; many participate at their school, organization, or public library. Competitions​​ take place on specified weekends​ throughout the school year. Teams must complete all their work during one (1) ​​six consecutive-hour period on the Friday, Saturday, or Sunday of these competition windows. They may only have one instance of an image open at a time. ​​​​​​Train: Teams should start training for the competition as soon as they can before the first round. Updated training materials are on the dashboard that Coaches and Mentors see upon signing into the website. These training materials are a great place to start, but they do not cover everything. Teams should rely on their Technical Mentors to receive more advanced training. Archived training materials are available​ on the public side of the website. Prepare: All teams should make sure that they have the hardware, software, and network capabilities​ required to compete successfully. As the goal of the program is to have as many teams as possible competing, technical requirements are kept to a minimum. ​Extract​: In the morning of the Friday of the competition weekend, teams receive an email with the password to extract the virtual machine images from their downloads. After doing so, they can load the images in VMware Player and begin competing. Identify​: When the images are opened, teams are prompted to enter a Team ID. This is a ten-digit alphanumeric code that is assigned to teams and delivered to them along with the extraction password. Score​:​ ​When teams fix a vulnerability that is being checked, they receive points. If they take an action that makes a system less secure, they lose points. Teams can also gain points by answering forensics questions about actions they took to solve their vulnerabilities. Teams can checked their progress on their score report page. Ask:​ CyberPatriot staff is available to answer technical support questions during the round by chat​ and by phone at 877-885-5716 during peak competition hours. Instructions for accessing the tech support chat are sent to teams at the beginning of each round. Teams may not ask questions about vulnerabilities during the technical chats. ​​Delete: All virtual machine images should be deleted after the round is over to maintain the integrity of the competition. Wait: ​CyberPatriot staff reviews all the scores following the competition and releases official scores and standings to teams within a week after the round is over. Teams are score in each round based on how well the secured each image they were given. Teams advance to the national finals based on these scores.